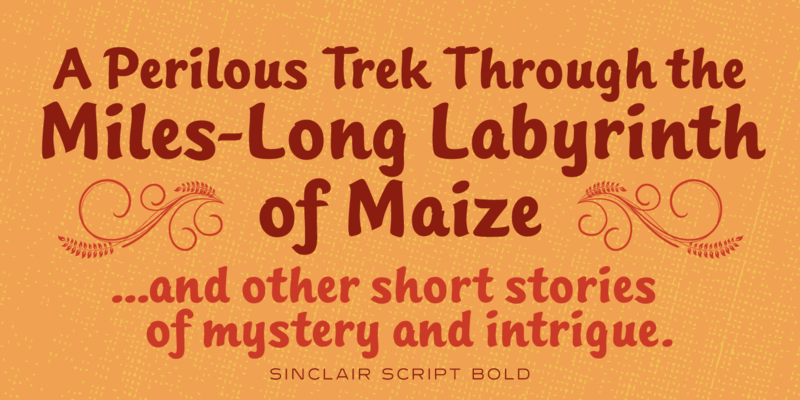 ‘Knutsford Script’ was a single typeface created for QBF in Manchester, England. 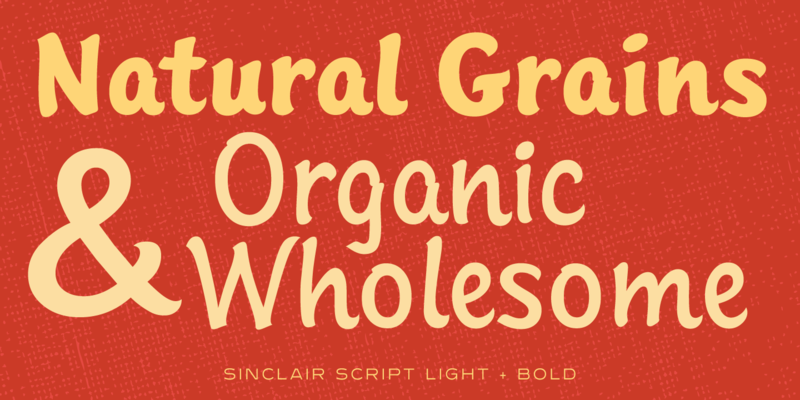 Pat Hickson (P&P Hickson) redesigned the font exclusively for the Red Rooster Collection, and Steve Jackaman (ITF) produced the digital versions of the full family under its new name, ‘Sinclair Script.’ In 2017, Jackaman completely redrew the family, increased the glyph sets of all the weights, and added in all-new ligatures. 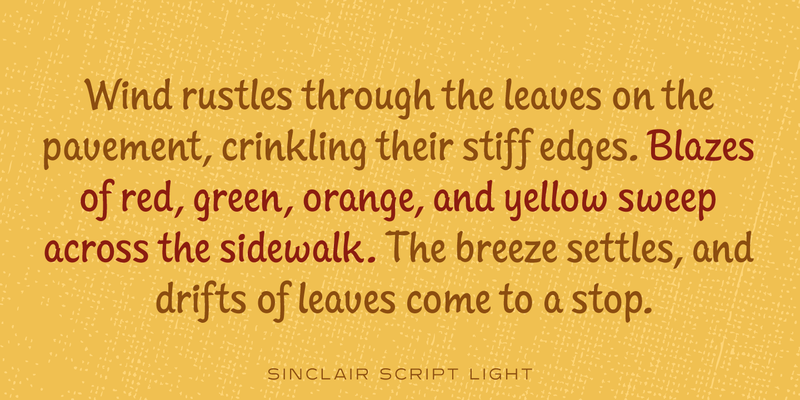 Sinclair Script has a friendly, casual, and calligraphic feel. 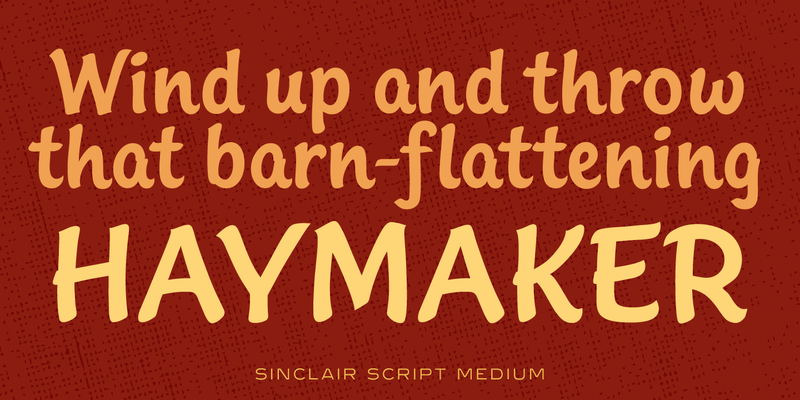 It is comfortable and highly suitable for packaging projects thanks to its legibility, and flourishes at all sizes. 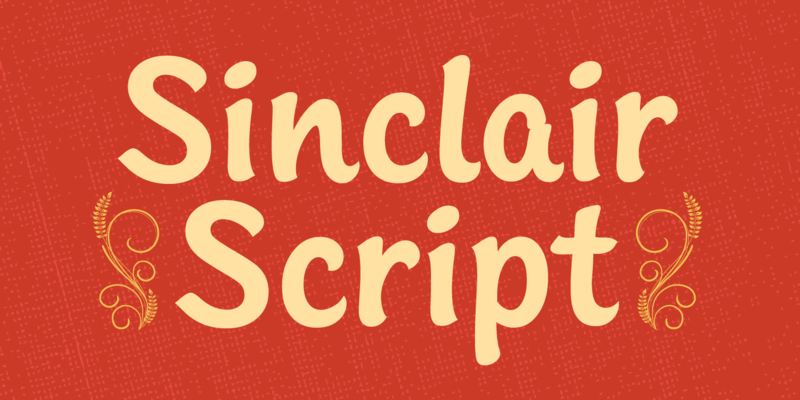 SInclair Script is a trademark of International TypeFounders, Inc.